Brendan Hall was born with salt in his blood. After early careers in the military and IT world, he decided to follow his dream of becoming a professional yacht racing captain. His mid-20s were spent in relentless pursuit of this dream, with a laser like focus on the goal of skippering a racing yacht around the world. His persistence was rewarded by being selected as one of ten skippers for the 2009-10 Clipper Round the World Yacht Race. 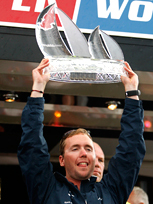 Although he was the youngest and least experienced skipper on the race, he viewed the challenge as fundamentally different to his rival skippers. This was a race of ten teams, not ten boats. The team who worked the best, felt motivated, communicated openly and managed conflict most effectively would succeed in the end. This was the focus of his campaign - To create and sustain a culture of high performance and motivation, where he worked tirelessly to empower and create leaders within his team. 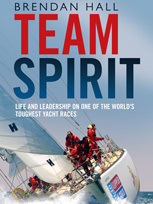 During the most treacherous ocean crossing of the race, his team were put to the test - in the middle of a North Pacific winter hurricane, Brendan went to the rescue of an injured skipper on a competing yacht and skippered both boats across one of the most feared oceans in the world. 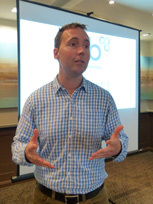 Brendan's brutally honest, no-holds-barred presentation is revealing and instructive, with valuable lessons in leadership and management - as well as never giving up. Thrown in quite literally at the deep end, he was pushed to the limit, and learned the leadership and teamwork lessons you can only learn the hard way. Compellingly told by a master speaker, this inspiring story will have your audience on the edge of their seats. Structured around the most exciting points of the race, each section is a mix of sailing action and rich leadership insight, combined with video footage and images that bring it vividly to life. 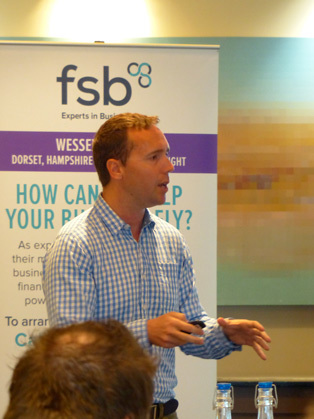 To see Brendan's strength as a speaker, all you have to do is look at the audience: fully fascinated and inspired by the authentic way he shares his experience and the lessons he learnt from his round the world leadership challenge. Definitely an insightful speech and a meaningful message for whoever wants to succeed in leadership nowadays! Brendan delivers an engaging experience that translates directly into meaningful business & team building learnings that will help our team stay ahead of the competition. Beyond just a story, Brendan is able to create interactive examples that enrolled my team to apply their thinking to parallel situations. From planning to crisis management, our time with Brendan was and will be a real asset as we seek our peak performance.